We are happy to announce the launch of the 9th edition of our Buddy Program! If you want to join the program in the summer term 2019, just fill out the form below. Get more information about the Buddy Program on Facebook and stay tuned for current events! 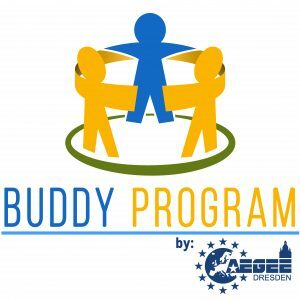 Also have a look at the Facebook-page of AEGEE-Dresden, the organization behind the buddy program!